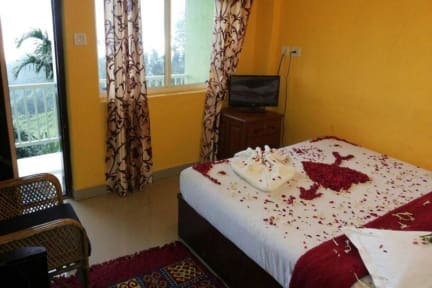 Comfortable rooms have all basic amenities, like clean and hygienic linen, comfortable mattress, dust free toilets with hot shower, free toiletries, free Wi-Fi, presentable team members, well-organized travel desk and quality service team. Namasthe Munnar was a nice refuge from the busyness of Munnar, and it is just a quick bus ride into town. The staff were friendly and helpful, a big plus. Very good location. And host is very helpful and always responsive. Good value for money if you are looking for silent place during your holiday. 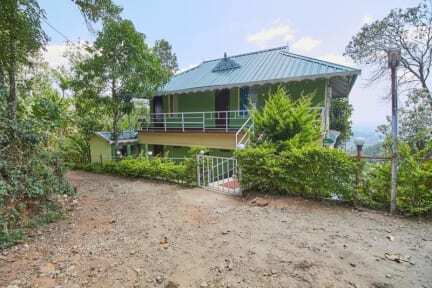 Great location, peacefully tucked away in the mountains whilst only being a short bus ride to Munnar (about 15 minutes and costs 12 rupees). Decor a bit dated but the place was spotless with a nice balcony to sit out on. WiFi was good when you were close to the office. Staff were really friendly and helpful - arranged a soft trek for us with a great guide (would highly recommend). The small hill down and up to namaste is pretty steep but they’ve got a Jeep and kindly dropped us up! The location is very quite and beautiful. Also the other guest are friendly and willing to share there tales. The chef takes a dinner order about 3 hours before a time and cooks it up fresh which was great. There were a couple of minor temperamental issues such as the door key getting stuck on the inside, food arriving 30 minutes late, and reception unattended for a long period. But for the price and area you get a lot more than you pay for. I’d happily stay here again. Namasthe Munnar was a great little homestay a short tuk tuk ride from Munnar town. The host, Sani was extremely friendly, welcoming and helpful. He organised tuk tuks to take us around, as well as a tour of Munnar, and helped us get the bus to our next destination. Rooms were clean and had balconies with beautiful views. Only downsides were the track down to the homestay is a little steep and muddy, and also the hot water was a bit temperamental. Nice place to stay! Good views from the window and helpful staff. Room was clean, view was beautiful. If your looking for a quiet place to stay a bit off the beaten track then this place is for you. I was there only long enough to sleep so can’t speak to the atmosphere. Staff was kind and helpful. Lovely views out the back. Staff were helpful in arranging a free jeep to get us from the bus stop. They also booked some fab trekking for us. Unfortunately there was miscommunication about us staying an extra night. This wasn’t necessarily either ours or staff’s fault, but I felt they could have been slightly more helpful. Room wasn’t great in terms of cleanliness. Some kind of chemical was dripping from just above the windows! Food wasn’t the best, we’d recommend eating out. Unfortunately did not enjoy our stay at this hostel for a few reasons. There was no atmosphere, showers freezing cold and extremely uncomfortable beds- it felt like sleeping on wood. We heard other beds were ok so maybe it was just ours... Breakfast was also a bit random, it seemed the guy taking our order didn't actually remember what we wanted. However, the staff are helpful with giving clients lifts up the steep hill in the Jeep where you can catch the bus or a tuktuk into town.